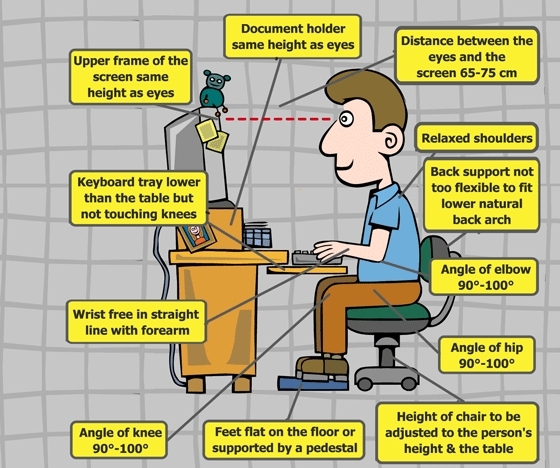 Avoid existing ergonomic guidelines unless they make scientific sense. Ergonomics should be based on fact, research, experimentation and theory using body mechanics as a base line. 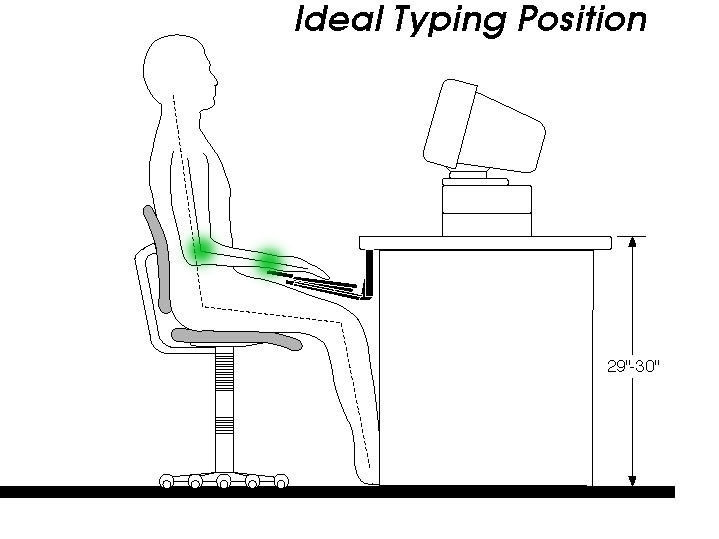 Remember that ergonomics is personal. What works for someone else may not work for you. Do not settle for a desk without a keyboard tray or some other way to set the keyboard height and angle correctly. If your employer complains about the cost ask them to compare it to the cost of workman’s compensation. Do not place the keyboard on top of the desk. Do not place the monitor above your head. Do not sit in a rigid and upright position. Do not work for long periods of time without moving. You need to take frequent breaks. They keep you awake, productive and healthy and keep you from developing Deep Vein Thrombosis.